In 1977, the CNES Director General set up the Gepan* research group to pursue studies initiated by a CNES engineer as a personal project. 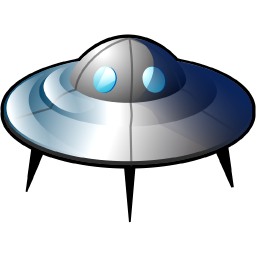 Its mandate was simple: conduct research into UFOs (as they are commonly called). The group’s work was overseen by a scientific advisory board. Gepan continued its research until 1988, when it was superseded by Sepra**. As well as UAPs, the new unit also monitored artificial atmospheric re-entries, i.e. 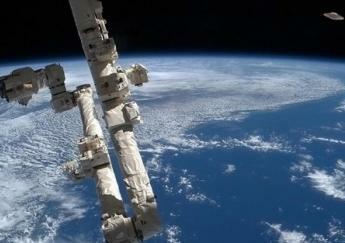 debris from space missions falling back to Earth. In 2000, Sepra refocused on the original mission of UAP research, albeit with limited resources. 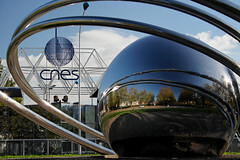 In 2001, the Director General requested an audit to help decide on the future of this CNES department. via A history of UAP research at CNES – CNES. Information is made available to the public here (in french). Their news can be found here . Richard Lelancette started translating reports into English on his blog. Update: The tiny “alien” skeleton found in the Chilean dessert a decade ago, has human DNA. Scientists say the six-inch skeleton dubbed the “Atacama Humanoid,” is not proof that extraterrestrial life or ET exists as “Sirius” suggested. Is the South American mummified creature a mutation? The mystery behind the mummified remains began 10 years ago when the small skeleton was found. A word to those who have not run into Steven Greer before, have a look at this article on him Steven greer . Basically, he’s in it solely for the money and it shows quite nicely what he has been up too. 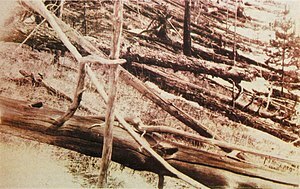 In June 1908, a mysterious blast occurred above the remote Russian forests of Tunguska, Siberia, with 1,000 times more power than the Hiroshima bomb, flattening trees over an area roughly the size of Tokyo. The most widely accepted theory is that a huge asteroid or comet (not a UFO or chunk of antimatter) exploded as it entered Earth’s atmosphere. But with just one death, few witnesses and no fragments nor any impact craters to study, scientists have been left to puzzle over what exactly caused the so-called Tunguska event. Two UFO witnesses about 1,200 miles apart seemed to describe the same triangle-shaped object in reports two hours and two time zones apart on April 27, 2013, according to testimony from the Mutual UFO Network (MUFON) witness reporting database. At about 9:59 p.m. ET, a Tennessee witness driving west along Highway 70 near Pleasant Hill reported watching “a large, triangular-shaped” object hovering over power lines in MUFON Case 47032. The witness was returning from a grocery shopping trip in Crossville when the object appeared just above the vehicle. Around the same time, little Billy Orsmond lost grip of his prized 6ft-long helium-filled shark toy and watched it fly into the air, never to be seen again. Billy’s dad, James, 25, of Baillieston, said last night: “I saw the Record story and just about fell over. “The report said the object was blue and yellow and silvery. I just thought, ‘Aw naw’ because that was the colour of Billy’s remote control shark and it went missing round about the time of the incident. “Billy only had the toy for a couple of weeks. 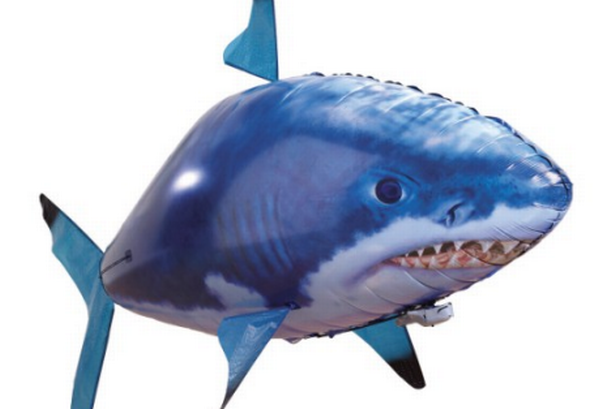 It cost about £15 from Argos but the shark was big and would probably look bigger in the sky. We’d just had it re-filled with helium before this incident happened. At the time, I thought that was why it flew out his hands and into the sky. 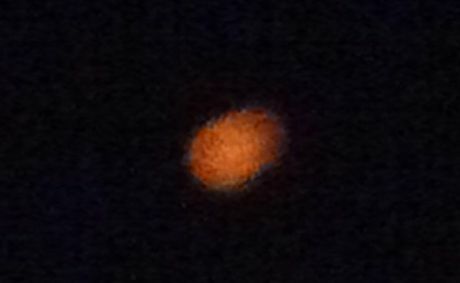 A READER has reported seeing a bright orange light over the Gladstone/Tannum Sands area on Saturday night. In a Your Story submission on The Observer’s website, the reader said it appeared as a very bright orange light moving quite fast at first, then becoming almost stationary before moving off again. “It came back several times and moved the same way each time. We saw it three different times, as did our neighbours and some friends in Gladstone. Definitely no ordinary aircraft or satellite. Where: Bloomfield Multicultural Center, 333 S. First St.
AZTEC — Nothing otherworldly happened in Hart Canyon, says Aztec native Monte Shriver. Shriver will present his findings on the “other Roswell” at a meeting of the San Juan County Historical Society at the Bloomfield Multicultural Center on Wednesday. He admits there is likely something out there, but is convinced it didn’t crash land in Aztec – on March 25, 1948, or any other date. You may have never seen an unidentified flying object over Myrtle Beach, but if you live in this area, chances are you know someone who has. The Grand Strand has long had more than its share of UFO sightings. The creators of Myrtle Beach’s newest attraction, “Encounters: UFO Experience”, claim there’s a good reason, besides this area’s 14 million tourists, why they decided to locate it at Broadway at the Beach. “Myrtle Beach is a hot spot for sightings,” said Brian Bouquet of Intergalactic Brands. NEW video footage of a strange light over Gladstone and Tannum Sands on Saturday shows the light flaring orange before returning to white. Peter Harbrown shot the footage with his mobile phone. He said he saw the light at 8.30pm, and “it definitely looked odd”. 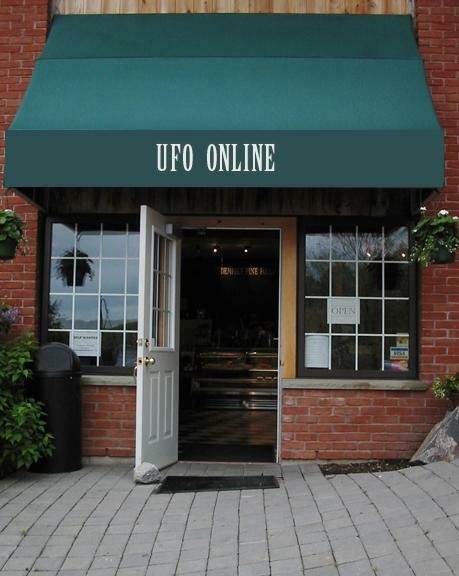 Vermont witnesses at St. Albans reported watching and videotaping a “bright, saucer-like object” slowly crossing overhead from south to north on May 6, 2013, according to testimony from the Mutual UFO Network (MUFON) witness reporting database. The reporting witness and other family members were outside in their yard about 10 p.m. when the object was first seen. An Italian UFO investigation group called the Centro Ufologico Mediterraneo (CUFOM) has sent us their video analysis of a UFO video from September of 2011. Their video specialist, Carmine Silestri, says “The origin of the objects cannot be explained by natural phenomenon or by human activities. “ The video was taken on September 2, 2011 in Avellino, Italy. A dark triangular shaped object was observed flying over Sault Ste. Marie, Ontario on 6 May, 2013 at 10:30 PM, as reported by an eyewitness. This report has been obtained from a testimony included in the database of Mutual UFO Network (MUFON), published on 5 May, 2013. says the article. 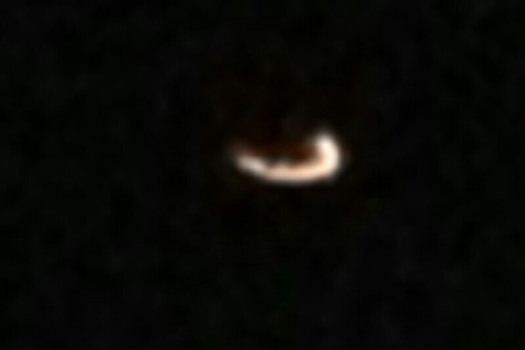 The newspaper reports of an eyewitness account of a strange V shaped object in the night sky Monday night. 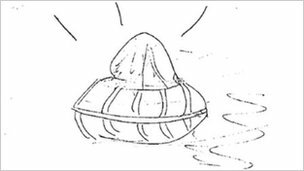 The witness describes how he realized that the shape of the object did not change. He describes the shape of the object. It’s with some relief I can say that’s not a fleet of alien spaceships bent on either enslaving the human race or possibly eating us. It’s not even a swarm of meteors: what you’re actually seeing there is a satellite dramatically breaking up as it re-enters the Earth’s atmosphere. And it’s even been identified: it was the Cygnus mass simulator, a payload lofted into space by the Antares rocket in April! The release of “wish lanterns” at a birthday celebration for a Christchurch cancer sufferer may explain “strange” lights seen in the skies last night. 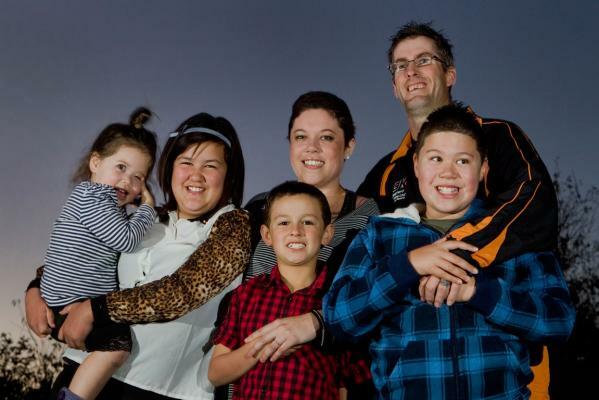 The lanterns were released in Fendalton last night at a gathering for Danelle Wakefield. Wakefield has been diagnosed with Ewing’s sarcoma cancer, which is a rare cancer normally found in children, and not adults. Despite aggressive chemotherapy on a tumour in her shoulder, Wakefield has been told she has between two months and two years to live. At a birthday party held for Wakefield last night, her family let off some “wish lanterns”. A poster on the event’s Facebook page said it was “a beautiful moment” and that attendees joked that someone would “think they are aliens as they floated around the sky”. Interesting series about the Berwyn incident (1974) gives various theories as to what this was……this is part 1 of 3. Britain’s Closest Encounters – Berwyn Mountain Mystery 1 of 3 – YouTube. from ufohunter. 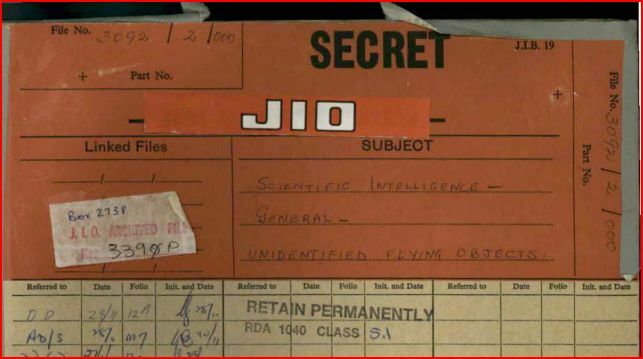 With the permission of the National Archives of Australia (on behalf of the Commonwealth Government of Australia), I’ve uploaded searchable PDF files containing over 10,000 pages of Australian UFO documents to a directory at the link below. Some highlights from that collection are given in the post below (article from IscaacKoi). 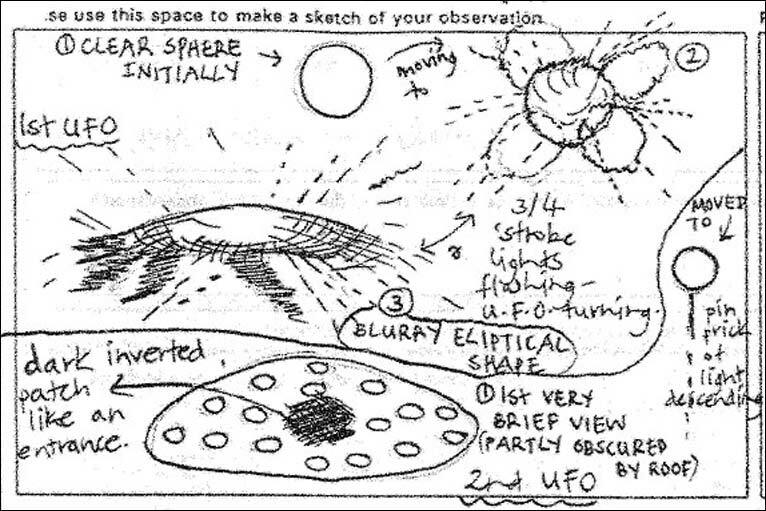 via Oz X-Files : “authenticated sighting”, “appear to be inexplicable”, USA “very interested”, page 1. I have posted this link from Above Top Secret, just in case anyone has missed out on the ufo documents from Australia. ” It is now possible to download the journals published over the last few decades by several significant UFO groups (including NICAP, MUFON and APRO) and do REALLY fast searches of them ” [ extract from article]. Definately both worth checking out, as a wealth of information can be found there. If you follow UFO investigations in the media and wonder are the reports solid, well investigated and as clear as they seem then consider there may be a problem area you need to know about. 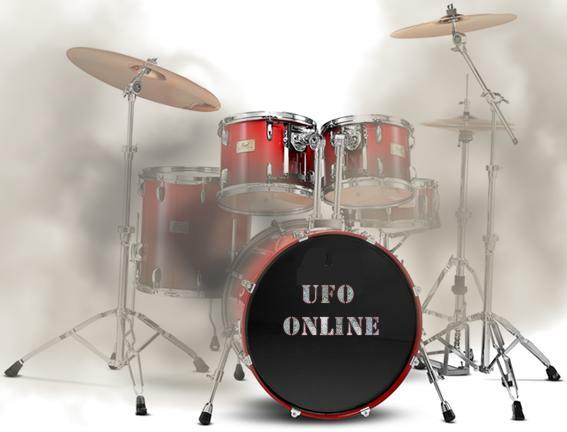 Arguably, two of the greatest problems inherent to the field of Ufology today are that approaches to studying UFOs are 1) not keeping up with available technology and 2) are perhaps, at times, being influenced negatively by technology more so than in ages past. I’ll expound further on precisely what I mean by this in a moment, but first I must pose the very necessary question: will the serious study of UFOs continue to live up to the challenges of our rate of technological growth, or will the study of more advanced intelligence than our own become hindered by these advancements? 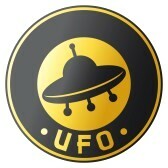 via Why the UFO Community Must Step Up Its Game | David Reneke | Space and Astronomy News. The incident happened on Monday night of last week and was the second time in a week Mr Preston had seen UFOs. The previous Wednesday he had been using his telescope to watch Venus about 10pm, when he saw two objects moving across from the north-north-west sky. “I got a pretty good view of them,” he said. Then on the Monday night he saw three objects “clear as a bell” flying low over Lake Conjola from the east-north-east between 9pm and 10pm, he said. “They virtually came over my house,” he said. Though he claims to be a UFO skeptic, former U.S. Senator for Alaska Mike Gravel is one of six former members of Congress scheduled to join a staged UFO investigation in a Washington D.C. at the end of the month. The event purports to be an inquiry into a vast government cover-up. The promoters have rented the ballroom at The National Press Club’s Washington D.C. headquarters for five days beginning April 29. 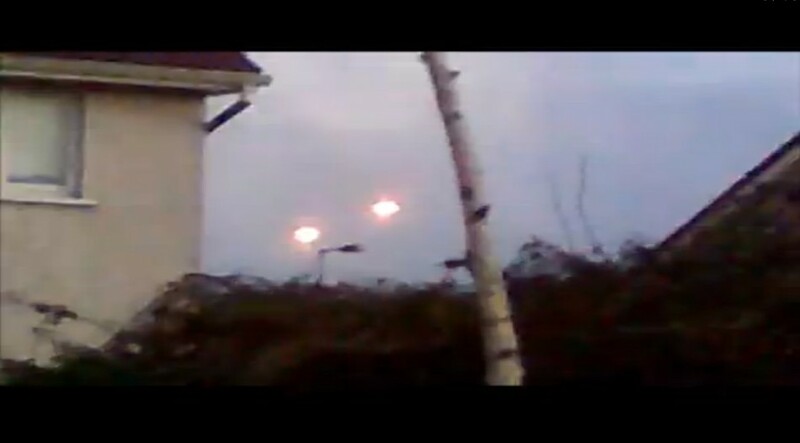 UFO video shows fireballs in Cork, Ireland (openminds.tv) the same sighting will have ** after the heading. A witness recorded approximately three minutes of video showing multiple fireball UFOs in the sky above Cork, Ireland. I am sorry for the quality, it was filmed with a mobile phone. Ironically I had a Cannon EOS 500D with 300mm lens at home that could of filmed in 3000×3000 but I was afraid that they would disappear by the time I got my camera as this is a very rare opportunity so instead, used a phone to record as much as possible. Mr Philip decided to speak out in the hope others may be able to corroborate the sightings. The first sighting, he said, was of a bright white light travelling much slower and lower than a normal plane. “It was so smooth and silent, just gliding through the air,” he said. In the second sighting, Mr Philip said a similar light was travelling northwest before making a sudden 40-degree turn and then disappearing. “I can’t explain it, it was awesome and I hope I see some more,” he said. 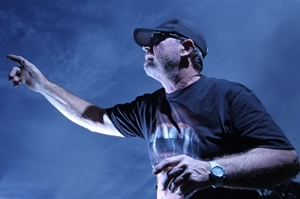 Despite the footage being filmed in December, the video was only posted online last week – causing many Internet aficionados to cry foul. 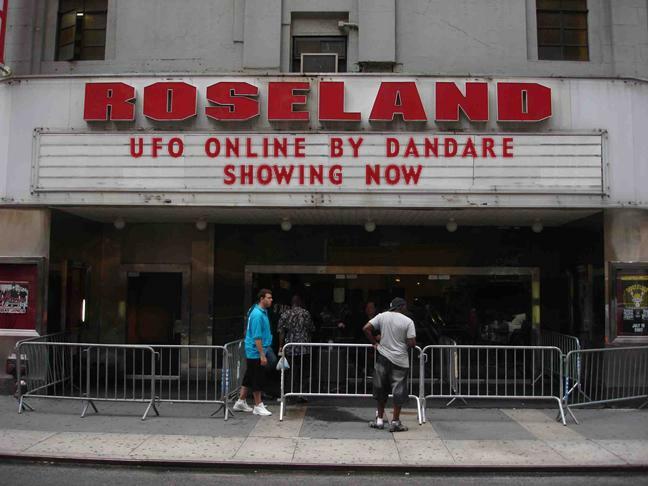 Writing on YouTube, the poster addressed concerns about the shakiness of his UFO video. The aliens are coming and they’ve found the perfect landing pad, nestled among the emerald hills of an Irish suburb. That is, if you choose to believe footage made by one UFO spotter who filmed the glowing sky-balls hovering over Cork, in southern Ireland. But rather than share his discovery with the world straight away, the bashful space twitcher chose to sit on it for four months before posting a video on YouTube. There are possibilities this video is a fake. The lack of audio, for one, has led to doubts over how genuine the footage is. American horror writer Whitley Strieber posted a note on the video, on his Web site, and said he had the video analysed by three experts. Two of the three people consulted declared the tape was a hoax, while the third made no decision either way. Astronauts working aboard International Space Station are claiming to have seen a blinking entity or object, which they said was a UFO activity that took place on 18 and 19 April 2013. Similar episodes have been reported by Scott C. Waring, who edits UFO Sightings Daily. The reports are talking about recordings of multiple UFOs and their activities that took place on the 18th and 19th of April 2013 and were recorded on NASA live cameras. A SERIES of videos recorded on a mobile phone in the sky above Mundaring has reignited the debate on UFOs. 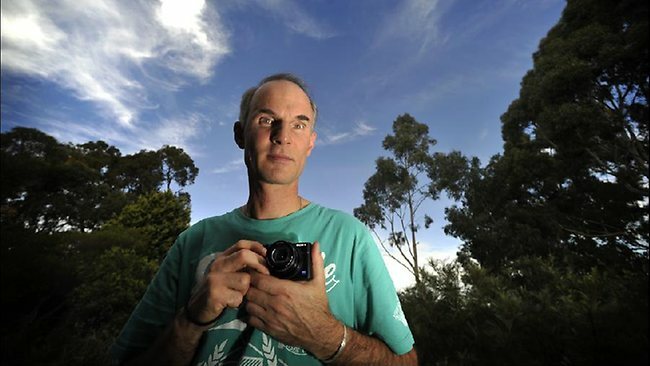 The recording, which shows a bright orb changing colours, is the work of a York man who details his experience exclusively in the next Tuesday’s Midland-Kalamunda Reporter. It’s not clear from the pictures what it is that might have been in the night sky.But a man from Bottesford says he noticed three objects in the sky last night (Wednesday, April 24). He said: “The objects appeared to be on fire and were heading in an easterly direction towards Brigg. The report follows a story of a possibly UFO sighting in Bottesford in March. She proudly announces that she has seen many UFOs in her lifetime – three sightings in Noosa, one in Coffs Harbour in New South Wales, and another two in the last month on the Sunshine Coast. “My first sighting was in 1997,” she said. “I was travelling to Coffs Harbour on a domestic flight, looked out the window and not far from me, a UFO dashed past, heading in the opposite direction. Rob Hartland has taken more than 20,000 photos of the day-time sky in the past six months and analysed them on his computer. It began when he was taking photos of clouds to test out a new camera when he noticed a “smudge” that, when enlarged and enhanced, “had some structure to it, suggesting it could be some sort of craft in the sky”. He says since then he has identified a dozen different UFOs including round, square and saucer-shaped craft, posting the photos to his website wispyclouds.net for extra-terrestrial buffs and sceptics to ponder. Stuart Walton – Why have we stopped seeing UFOs in the skies? UFO sightings are down. Ghosts are in decline. Are we more discerning now, or just afraid to trust anything? via Stuart Walton – Why have we stopped seeing UFOs in the skies?. Article, definately worth reading…. In part two, i have added links to the many BBC articles/posts on the MOD Ufo files, and later i have added other references to the files(a selection), some of which are better reported than others (i cannot add them all,as there were many links to these files,from all other the world). 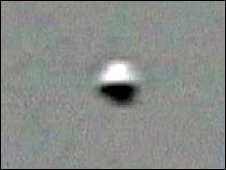 Files released on UFO sightings (BBC 14th may 2008)includes newsnight video. Secret files on UFO sightings have been made available for the first time by the Ministry of Defence. The documents, which can be downloaded from the National Archives website, cover the period from 1978 to 1987. They include accounts of strange lights in the sky and unexplained objects being spotted by the public, armed forces and police officers. One man explained in great detail his “physical and psychic contact” with green aliens since he was a child. 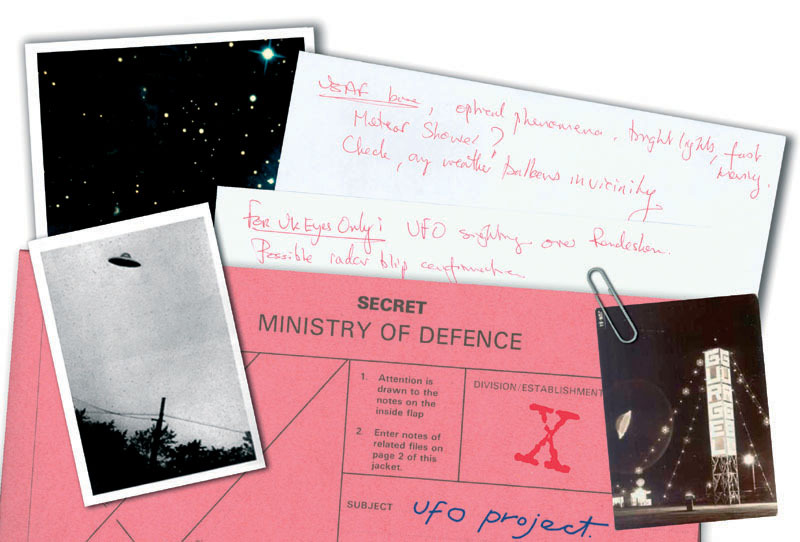 For decades the Ministry of Defence kept what it knew about UFOs locked away in its archives. Now, the contents of what have been called Britain’s X-Files are finally being revealed. One of the UK’s leading UFO experts told Radio 4’s Today programme about his hunt. 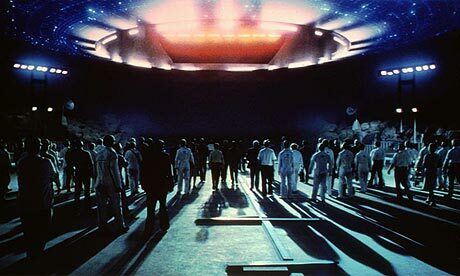 A passenger jet bound for Heathrow Airport had a near miss with a UFO, Ministry of Defence files reveal. The captain of the Alitalia airliner shouted “Look out” to his co-pilot at the sight of a brown missile-shaped object shooting past them overhead. Civil Aviation Authority and military investigations could not explain the 1991 incident near Lydd in Kent. 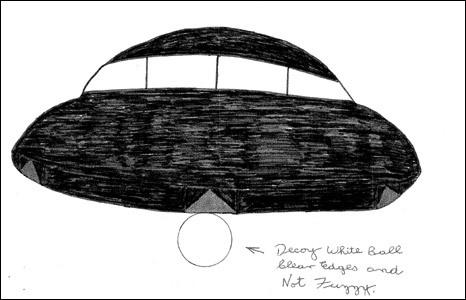 The unsolved close encounter features in UFO-related military documents made available by the National Archives. Details of UFO sightings around the UK, including a number in Northern Ireland, have been released by the Ministry of Defence. A total of 19 files covering sightings between 1986 and 1992 have been made available online. 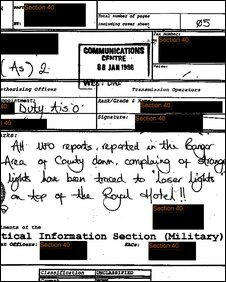 One of the file details three unidentified flying objects near Belfast International airport in December 1989 and January 1990. Another relates to a sighting over nearby Glenavy in 1989. RAF Aldergrove said there were no fixed wing aircraft in the area at the time, but that two helicopters were in the vicinity within five minutes either side of the sighting. Recently declassified files reveal that 285 UFO sightings were reported to the Ministry Of Defence (MoD) in 2008 – twice the number in the previous year. Many of these reports were filed by Londoners who claim to have seen bright lights, spherical objects in the sky – and even little green men. 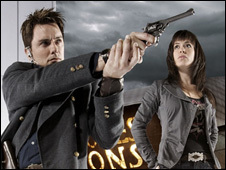 Science fiction and fantasy dramas like Doctor Who and Torchwood may be behind a rise in UFO sightings in built up areas of Wales, an expert has said. Nick Pope, the Ministry of Defence’s (MoD) former UFO project head, was commenting on figures released by the MoD which show sightings have gone up. He said other sightings reflected the growing popularity of Chinese lanterns. In 2006, 97 UFOs were reported across the UK. This rose to 135 in 2007 and 285 in 2008, with 18 Wales sightings. “I received text messages from numerous friends a couple of days after the event saying that there was a large picture in the Democrat of a mysterious sighting in Coalisland at around half eleven last Saturday night. Details of UFO sightings around the UK, including a number in Northern Ireland, were released by the Ministry of Defence last October. A boomerang-shaped object seen from an airport control tower and a woman’s encounter with an “alien” are among the secrets revealed in official UFO files. The woman reported seeing a glowing, spherical object rise into the air in Norwich after meeting a man who said he came from a planet similar to Earth. A photo of a UFO hovering next to an RAF jet over Scotland was treated seriously, newly-released Ministry of Defence files show. Officials briefed ministers on the sighting of a diamond-shaped object near Pitlochry, Perthshire, in 1990. A memo suggested the media be told “no definite conclusions” could be reached. The documents show officials were more concerned about secret weapons being developed by other countries rather than alien visitors. The sightings were brought to the attention of the MoD by the Daily Record newspaper. The Government has released its UFO files from the 1990s when UFO sightings suddenly increased. Investigators believe the television programme The X-Files may be to blame, rather than an increase in aliens. A former head of the armed forces told the defence secretary a UFO claim known as Britain’s Roswell could be a “banana skin”, newly released files show. In 1985 Lord Hill-Norton wrote to Michael Heseltine about the “Rendlesham incident” in 1980, when US airmen in Suffolk said they saw strange lights. He said an unauthorised aircraft may have entered and left UK airspace. In 2003, an ex-US security policeman said he and another airman had shone patrol car lights as a prank. 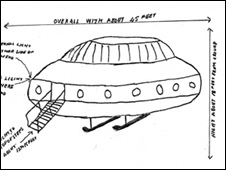 The case is among the latest MoD files on UFOs released by the National Archives. The figure told the boys: “We want you, come with us,” according to a report from 1995 which has been released by the Ministry of Defence. UFOs sighted over Devon and Cornwall could have been an American spy plane or a Russian rocket, files released by the National Archives suggest. Ministry of Defence reports include details on sightings across the region of a large, low-flying object, which made a humming sound, on 31 March 1993. Witness descriptions are similar to a secret US spy plane, the files reveal. A UFO was seen hovering over a Cheshire cemetery before firing laser beams, according to a police log released by the government. The sighting was made by a young man on his way home after a night out in Widnes on 15 July 1996. Police described the man as a “sensible sort of lad and genuine”. He is said to have seen a yellow light four storeys high, which made a high-pitched noise “like cats wailing” and fired beams at a railway line. According to the police log the bright yellow light followed the youngster as he crossed a footbridge from Avondale Drive into Upton. Newly released documents show that UFO sightings in the UK leapt five-fold in the same year that the alien invader blockbuster Independence Day was released. 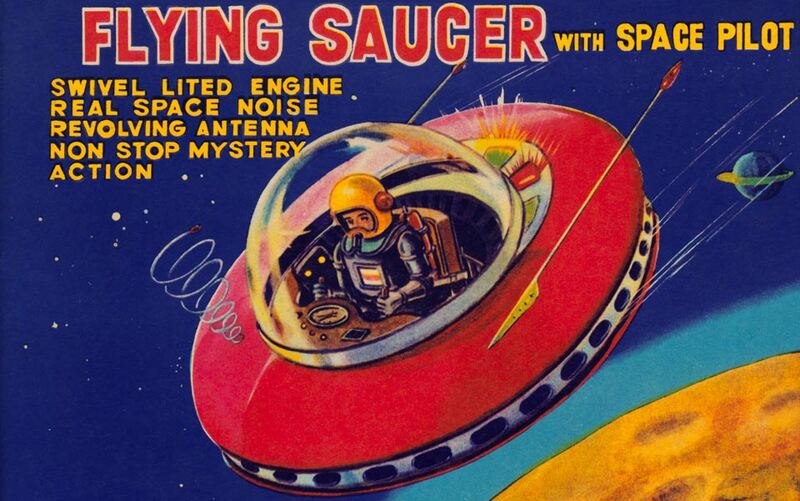 So is there a link between UFOs and science-fiction? 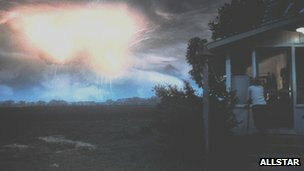 In 1996, the Earth was under attack from an alien mothership. Do you remember? Fortunately, Will Smith was on hand to save the planet. This did happen. At least in cinemas. Independence Day was the blockbuster film of the year, but the fiction it portrayed may have had an impact on the real world – a huge jump in the number of reported sightings of UFOs. It wasn’t ET, but a UFO sighting in County Down in 1996 had aspects of Close Encounters of the Third Kind. 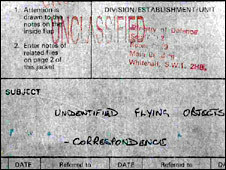 The latest declassified series of MoD reports on UFO sightings contains one from Northern Ireland. The report, from the Aeronautical Information Section, lists four sightings reported to the authorities. The National Archives has released details of UFO sightings reported between 1981 and 1996. 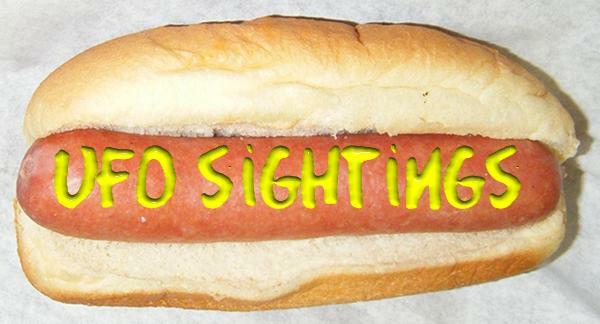 Most reports are for the UK but there are also reports of sightings in Belgium, just a few miles from British waters. Dr David Clarke from Sheffield Hallam University explains some of the reports to the BBC’s David Sillito. Is the truth out there? As official UFO files are released online by The National Archives, including papers relating to the Rendlesham Forest sightings and the MoD’s final position statement on the incident, the National Archives’ consultant Dr David Clarke explained what the newly-released records tell us. [the audio is the 6 audio down on the page]. In his account to police he described how a “tube of light” surrounded his car in Ebbw Vale, Blaenau Gwent, and later how he was sick. 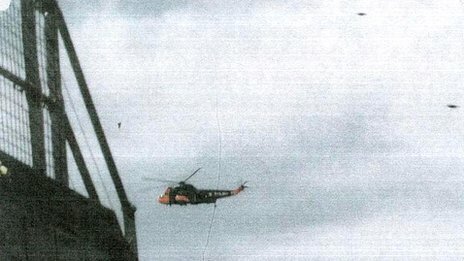 The incident on 27 January, 1997 is detailed in Ministry of Defence papers. Such an episode is classed by ufologists as a “close encounter of the second kind” – UFO sighting followed by an associated physical effect. 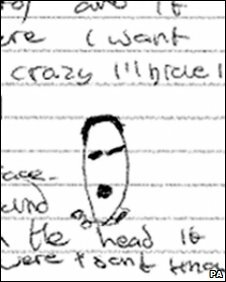 Reports of a UFO hovering over former Conservative Home Secretary Michael Howard’s home are among thousands of odd sketches, strange sightings and alleged close encounters detailed in newly released UK documents. More than 6,000 pages of reports describe people’s experiences with unidentified flying objects, mainly between 1994 and 2000. 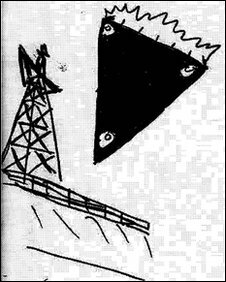 Among them are details of how the Ministry of Defence (MoD) received reports of a large, triangular unidentified flying object hovering in the sky above Mr Howard’s home near Folkestone, Kent, on 8 March 1997. Government correspondence, local newspaper reports and details of an RAF investigation into the sighting all feature in the files. Defence officials’ insulting remarks about the public had to be blanked out of government UFO files before they were made public, a memo has revealed. The Ministry of Defence had agreed to publish its full archive of reported sightings in response to a deluge of Freedom of Information Act requests. A ‘near miss’ between a passenger plane and a UFO near Manchester Airport is included in a number of secret files released by the government. 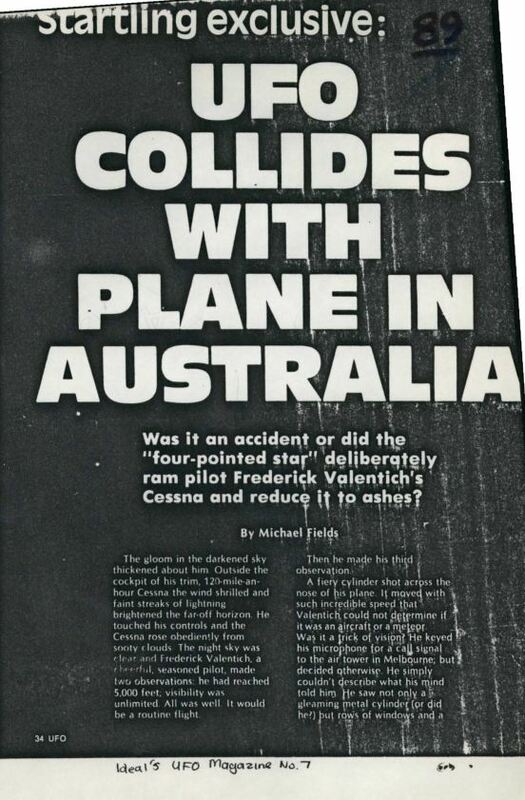 The ‘close encounter’ was officially reported by the flight crew of a Boeing 737 back in January 1995. The pilot and first officer described seeing a ‘large grey object’ fly so close past the plane it made them duck. The details are included in the latest batch of MoD files to be released on alleged UFO sightings. A gambler appealed to the government for help after a bookmaker refused to pay out on a bet that aliens would land on Earth, newly-released files show. 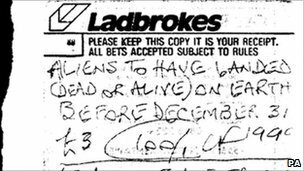 The punter from Leeds had £17 placed at 100-1 with Ladbrokes on aliens being found by the end of the 20th Century. The bookie said it would not pay up as the United Nations had not confirmed the existence of extraterrestrials. 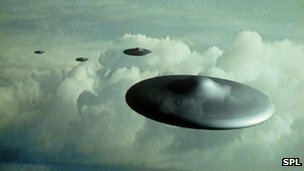 The government took the threat of UFOs so seriously in the 1950s that UK intelligence chiefs met to discuss the issue, newly-released files show. Ministers even went on to commission weekly reports on UFO sightings from a committee of intelligence experts. The papers also include a wartime account claiming prime minister Winston Churchill ordered a UFO sighting be kept secret to prevent “mass panic”. 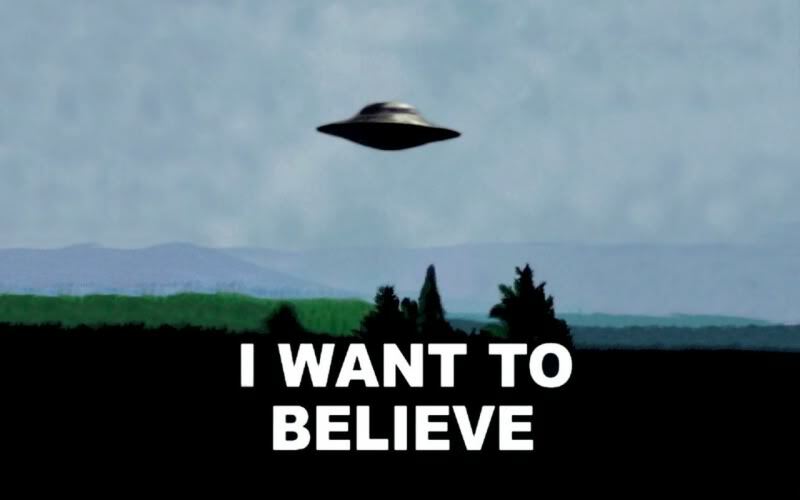 The files show reports of UFOs peaked in 1996 – when The X Files was popular. The Joint Intelligence Committee is better known for providing briefings to the government on matters relating to security, defence and foreign affairs. But the latest batch of UFO files released from the Ministry of Defence to the National Archives shows that, in 1957, the committee received reports detailing an average of one UFO sighting a week. MoD releases 1974 Welsh UFO files (6th August 2010) includes video- lasts 1min 58secs. A 1974 “UFO incident” which was dubbed the Welsh Roswell was dismissed as an earthquake and a meteor combining, official files show. The incident captivated many, who believed it was a spaceship crashing. Simon Pusey reports. Thirty years after claims that UFOs had been spotted in Rendlesham Forest, experts and enthusiasts still can’t agree on what happened. Mysterious craft and lights around the airbases of Woodbridge and Bentwaters in Suffolk were reported around 26/27 December 1980. BBC Suffolk’s Mark Murphy presented a special 30th anniversary radio show from the forest in December 2010. Mr Murphy promoted his favourite theory, but questions remained. Does not discuss the UFO files, as they are released (below),but thought i would add this. Classified files released by the National Archives have revealed an RAF officer had a close encounter while on holiday in Sri Lanka. The man took images of the UFO which were found in declassified papers held by the Ministry of Defence. Dr David Clarke, author of The UFO Files and senior lecturer in journalism from Sheffield Hallam University, said more UFO sightings happen when Hollywood films are made about aliens. Britain and US ‘were investigating’ UFO sightings ( BBC world News America) includes video. Matt Frei talks to Bill Birnes, host of the History Channel documentary series UFO Hunter, about the release of previously classified documents that show the British and US governments have been investigating UFO sightings for years. Mr Birnes says that in his own investigations, he has come across evidence of “other worldly” objects. Intelligence papers on a reported UFO sighting known as the “Rendlesham incident” have gone missing, files from the National Archives reveal. The missing files relate to a report of mysterious lights from US servicemen at RAF Woodbridge in Suffolk in 1980. The disappearance came to light with the release of 8,000 previously classified documents on UFOs. Officials found a “huge” gap where defence intelligence files relating to the case should be, the papers show. There is a standard letter, which is found throughout the files with minor variations, which was sent to hundreds of people who entered into correspondence with the government about unusual phenomenon. There was also a desk set up at the RAF which sometimes dealt with unidentified flying objects (UFOs) and their possible implications for air defence. Officials who were devoted to defence intelligence also dealt with UFOs from time to time. So the government has felt the urge to go through the motions for UFOs – even if there was a definite lack of actual spacecraft buzzing over Whitehall. The National Archives have released thousands of documents relating to sightings of UFOs and the way the UK government chose to deal with the paranormal reports. Dr David Clarke, UFO consultant to the National Archives, explains how parliament debated UFOs in the House of Lords in 1979 and discusses fears about the sightings in the Cold War era. Newly-released government documents have shown how three Ministry of Defence police officers spotted a UFO over Blackburn in 1979. The files include a written description of how the object flew over the Royal Ordnance Factory (ROF) on 24 February 1979. They also include a drawing. 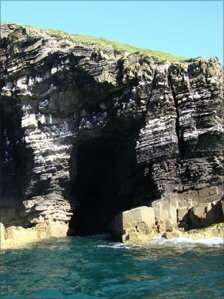 The object was said to be about 30ft (9m) across. As it flew off over Darwen, it lit up several streets. 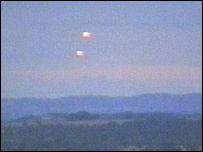 Nine orange bright lights were also seen in the Lytham area in June 2006. 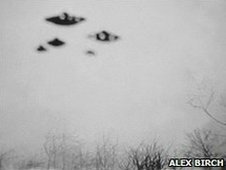 Details of UFO sightings across Wales in the last 25 years are revealed in files made public by the Ministry of Defence. A UFO spotted over St Tudwal’s Islands in the Llyn Peninsula in Gwynedd and a “slow-moving disc” seen at a festival in Llanfyllin, Powys, are included. The 34 files released by the National Archives cover 1985 to 2007. Accounts of sightings over Anglesey, Denbighshire, Cardiff and Swansea are also detailed. The files include requests for information about UFO sightings in south Wales made by various newspapers and confirmation that a reported UFO incident over Swansea in 1998 was either RAF Sea Kings or Vampire planes. Newly released government files on UFOs show a lack of will and resources to study thousands of reported sightings. The Ministry of Defence files released by the National Archives cover reported sightings of UFOs from 1985 to 2007. In one, a military officer predicts embarassment if the public discovered a “lack of funds and higher priorities” were stopping UFO investigations. 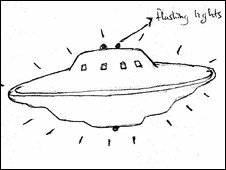 The 34 files include sightings of lights over Glastonbury and a “flying saucer” in Nottinghamshire. On 27 January 2004 there was a light snowfall in Nottinghamshire. Alex Birch, a local photographer, grabbed his camera. He wanted to take a picture of his local town hall, Retford, for a competition. He got the shot – the picturesque winter scene you can see above – and he says he did not notice anything out of the ordinary. 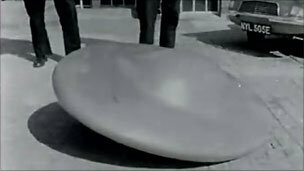 When he developed the picture though he saw a clear flying saucer shape. This was not the first time Alex had taken a picture of a UFO. In 1962, as a 14 year-old schoolboy, he had taken a picture which showed five saucer shaped objects in the distance. A spectral Luftwaffe World War II jet over Gower, questions about Anglesey’s nuclear plant, and terrified Flintshire motorists. These are just three of the cases uncovered in files released by the National Archives examining UFO sightings across Wales. The papers span four decades, and include nearly 7,000 documents. But one of the biggest Welsh UFO mysteries, the ‘Dyfed Triangle’, may have been an elaborate practical joke. It is the latest in a growing number of documents released detailing the UK’s obsession with claims of extra-terrestrial sightings that began to surge in post-war Britain. The papers reveal that between 1996 and 2008, more than 20 detailed sightings were reported to the police and Ministry of Defence in Wales. Five years ago, the Ministry of Defence started releasing their files on UFO sightings which had once been kept secret. The Today programme’s Sanchia Berg has been keeping an eye on them. Prime Minister Tony Blair was briefed on the UK’s files about UFO sightings in 1998, newly declassified MoD documents have revealed. 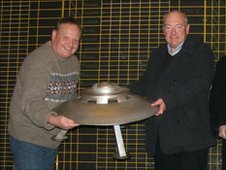 Writer Nick Redfern urged him to “consider making available for public scrutiny all of the many and varied UFO reports compiled by the government”. The request came as the government began to implement Freedom of Information (FOI requests). 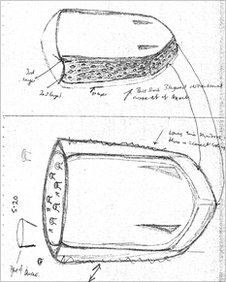 Some 6,700 pages of UFO documents have been released by the National Archives. The documents also include details of a briefing made before a House of Lords debate on UFOs in 1979, and reveal that former prime minister John Major had been asked by a fellow MP in 1996 whether the government would set up a national inquiry into UFO sightings. 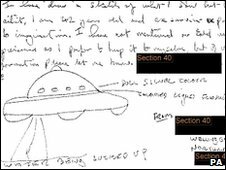 Files released by the National Archives reveal for the first time detail of the role of UFO Desk officers, what they really thought about the possibility of alien visits, and their briefings to Tony Blair on UFO policy. Between 1950 and 2009 a special Ministry of Defence unit investigated more than 10,000 UFO “sightings” – a rate of one every two days. Most, it appears from papers released on Thursday, had an everyday explanation, from aircraft, to balloons, reflected lights or other innocent activity. One of the newly-released papers, from December 2008, shortly before the desk was transferred to the RAF’s Air Command, indicates what life was like for those posted to UFO duties. “UFOs hovering over Waterloo Bridge? Green men known as Elgar? This can only mean the British ‘X-Files’ have been opened up to the public for the first time” (extract from article). “Aliens from outer space have been visiting Britain for years and UFO sightings doubled after the film Close Encounters was released in 1977, according to secret files collating reports by members of the public. 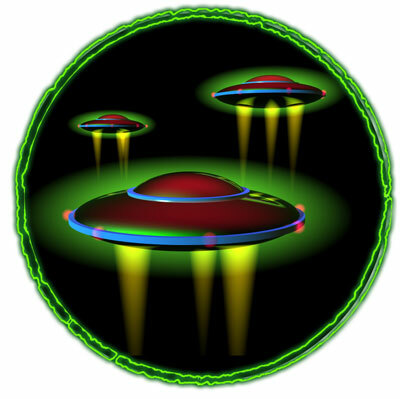 The alien craft come in all shapes, sizes and colors but their occupants are uniformly green, the Ministry of Defence files show” (extract from article). The Guardian “The truth is out there: National Archives lifts lid on UFO files“ “The files consist of a variety of documents, including numerous individual sightings, accounts of investigations and briefings prepared by MoD staff for ministers on the subject. 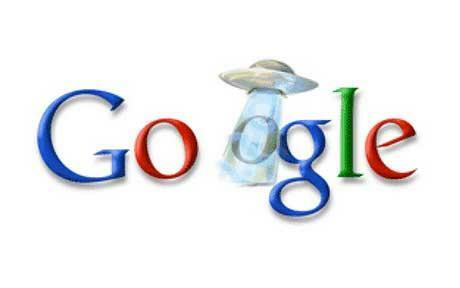 “There are a lot of conspiracy theories that have grown up about the military interest in UFOs. What we are getting to see in these papers are the actual facts,” said Dr David Clarke, a lecturer in journalism at Sheffield Hallam University, in a podcast prepared for the National Archives on the release” (extract from article). Included is a podcast at the bottom of the article. “ACCOUNTS of bright lights in the sky and even alien abduction have been made public for the first time in a batch of “X Files” released by the Ministry of Defence. Defence chiefs have kept files on 11,000 sightings dating back to the 1950s.Briefing documents for government ministers facing questions about policy on unidentified flying objects also form part of the release at the National Archives in Kew.Defence intelligence staff were more interested in checking that UFOs were not, in fact, signs of earthly covert spying missions by other countries, the documents reveal” (extract from article). vancouver sun “Things we learned this week““Aliens from outer space have been visiting Britain for years and UFO sightings doubled after the film Close Encounters was released in 1977, according to secret files collating reports by members of the public” (extract from article). 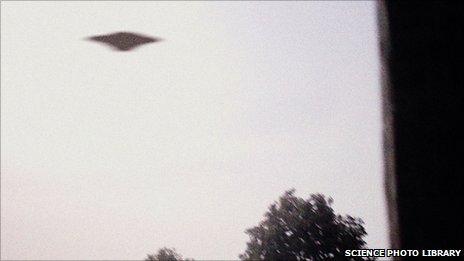 npr “Ufos in the UK” an audio (3 mins). 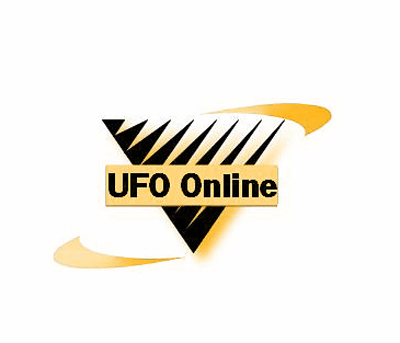 ***Third instalment of Uk UFO Files by MOD available to download NOW (march 21st 2009) ***Posted by dandare on March 22, 2009 -not all links work now!! ” As the National Archives reveal enough reports of mysterious Unidentified Flying Objects to keep Mulder and Scully in business for some time, here is the list extracted from the reports ” (extract from article). ” New Unidentified Flying Objects statistics show the numbers of sightings each year – plus the official explanations for them. So, what is the effect of science fiction in the movies and on TV? ” (extract from article). Flying Toblerones, mysterious illnesses and silky-white substances are among hundreds of close encounters described in previously top-secret files released by the Ministry of Defence (MoD). 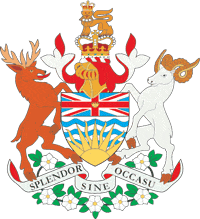 Results from a poll conducted by Insights West in Canada’s province of British Columbia were published on April 1, which explored the conspiracy theory beliefs of British Columbians. 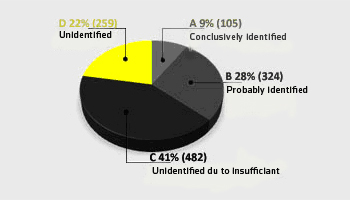 An incredible 52% of the citizens polled believe UFOs exist. A similar poll in the U.S. was conducted by Public Policy Polling, and it examined how democrats and republicans differ on conspiracy theory beliefs. The results, published on April 2, reveal that 21% of voters say a UFO crashed in Roswell, NM in 1947 and the US government covered it up. And 29% of voters believe aliens exist. Go on believing in UFOs if that’s your thing. You have just as much reason to do so after reading Hottel’s memo, since it doesn’t refute the existence of the downed saucers. Just remember that intelligence reports that seem like smoking guns are usually more smoke than gun. “It is possible I may be able to shed some light on this sighting with, unfortunately, a rather terrestrial answer,” said the reader, who did not wish to be named. “Over the past two weeks we have been testing a small remote controlled drone equipped with a digital camera which can record both video and still images. “This is highly likely to be what your photographer has captured. According to the website listing for the event, someone reported seeing an object that looked like a star moving erratically in the sky about 8:30 p.m. The person said the object was very bright, made sudden turns, then fell from the sky behind a tree line. KARK sister station KTVE reports a strange light in the sky was changing colors and glowing brightly when Wayne Griffin spotted it from his backyard. A North Hykeham man says he spotted a UFO from his back garden on Friday night. Stephen Melusco, from Lynmouth Close, said he went outside to observe stars and saw the dark delta or dart-shaped object travelling across the sky at about 9.15pm on April 5. “It appeared to be travelling north east to west and was quite fast and may have been the size of medium size aircraft,” he said. “The sighting lasted 4 or 5 seconds. There were no on-board lights and no engine sounds. “I only saw it because there where some low clouds at that time with street lights from Lincoln Road or NK in the distance which made the object appear lighter.”(whole article posted here). The 2006 video involves a pilot flying at 38,000 feet having a conversation with the control tower. The pilot reports seeing an object at his “10 o’clock” that rapidly changes colors before vanishing. The air controller reports seeing nothing unusual. Roberto Sarmiento, head of the Transportation Library and curator of the online exhibit, said the site also pays tribute to Ralph Burke, who wrote the original 1948 master plan for O’Hare. “Burke deserves much of the credit for forging an innovative plan that, eventually and for the most part, became a reality,” Sarmiento said. The exhibit can be viewed at library.northwestern.edu/libraries-collections/evanston-campus/transportation-library/collection/ohare50. An upcoming documentary film about UFOs has claimed that it will be offering evidence of aliens’ existence including the cutting-edge scientific analysis of a recovered body. The film, which premieres on April 22, is titled ‘ Sirius’ and showcases the claims of Steven Greer, a prominent UFO researcher, to prove that the US government is actively covering up hard evidence of extraterrestrial life. 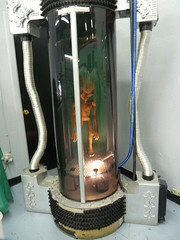 The project has taken several years, and money to fund the film was raised from donors and UFO believers. The extraordinary claims surrounding the film “SIRIUS” has me scratching my head. 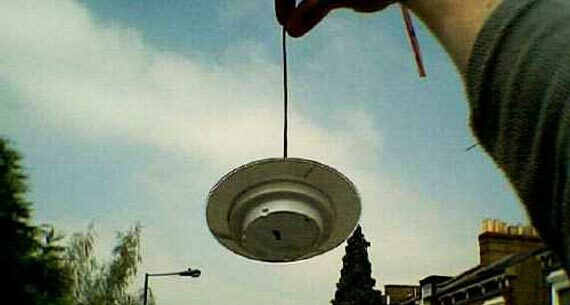 As an investigator of UFOs, I am always looking for real proof but this new documentary is already starting to stink. 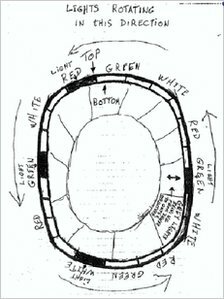 The comments at the end of this article are condeming, however, i have to be honest, and say that i am not a fan of Greer,who has damaged the UFO community…. Australia’s most incredible mass UFO sighting is being commemorated with a UFO-themed playground. The sighting, referred to as Westall ’66, took place in 1966 in the town of Clayton South, a suburb of Melbourne. There were over 90 witnesses, many of them school children playing cricket, who saw three objects, one of which landed for a short period before taking off again at a great speed. 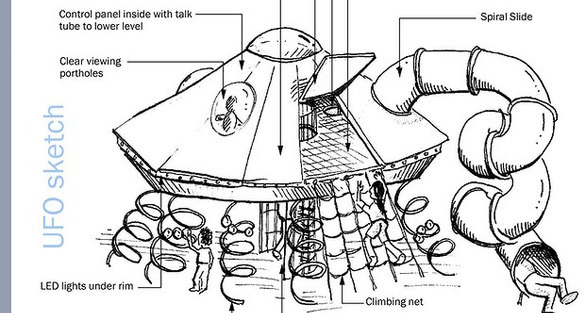 The Soviet Union took UFOs seriously. The KGB and the Soviet Defence Ministry had dedicated units collecting and analysing information about paranormal activity. Military experts even claimed to know how to “summon” UFOs and make contact with them. 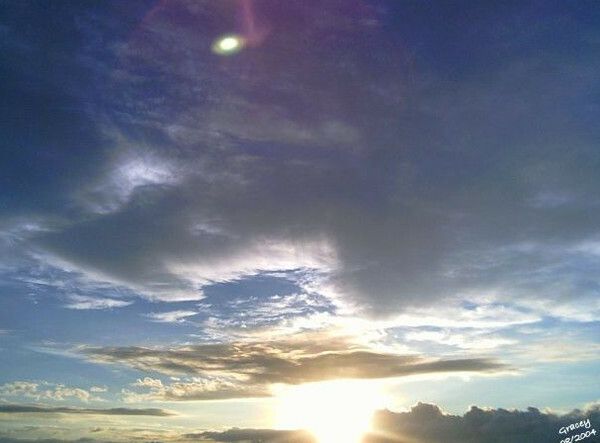 Recently many viewers have been sending 22News pictures and videos of bright objects in the sky. 22News asked those in charge of patrolling the airspace over the entire northeast what they might be. The F15’s at Barnes Air National Guard Base in Westfield are always on alert, ready to intercept any threat in the skies. Less than a year after a white, oval-shaped object was seen zigzagging across the Buford skies, another mysterious flying object has been reported. 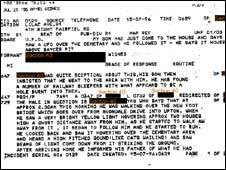 A report posted on UFO Stalker, a website that tracks reported UFO sightings throughout the country, describes the March 6, 2013, Buford incident…[..]…. “At 9:40 p.m. I was sitting on my back porch in Buford Georgia. I saw a white ball of light with two red circles next to it. The two red lights where a good distance from the white light. It hovered for a little bit then shift to left then to right. then shot straight up. and hoverd for a little bit then shot down”. The witness was outside sitting on a porch about 7:15 a.m. on April 9, 2013, when the object was first seen, according to The Examiner.